ein hod: 25.6% alcohol !!! Danny... can you do better? 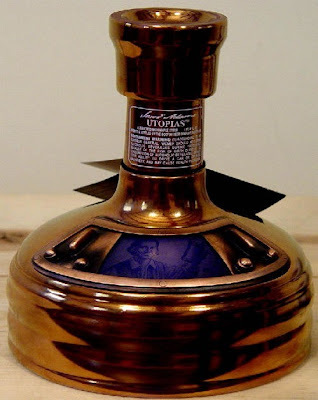 Samuel Adams announced the release of its highly anticipated 2007 release of Samuel Adams Utopias. By using an extended aging process and the finest all-natural ingredients from around the world, the brewers at Samuel Adams offer an uncarbonated beer with a rich, complex flavor and 25.6% alcohol by volume. Expected to be available at retail in November, the 2007 release of Samuel Adams Utopias is a handcrafted beer featuring a blend of brews, some of which have been aged for up to 13 years. The 2007 release of Samuel Adams Utopias comes in a collectible brew kettle–shaped, numbered bottle and will have a limited release of just 12,000 bottles worldwide.